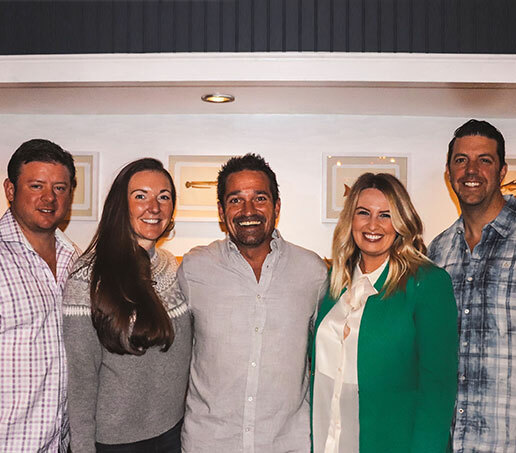 In 2010, three Denver entrepreneurs, Kris Slocum, Kevin Eddy, and Brad Beale convinced Juan Padró and Katie O’Shea to move to Denver and join forces to open an upscale burger restaurant. Padró and O’Shea jumped at the opportunity to follow their shared passion to unite communities through neighborhood-based restaurants. Together they bring expertise in restaurant management, recruiting, resource management, financial planning, and event execution. They have developed strong ties to the local business and non-profit communities and take an active role in supporting both. Today, the team partner in eight award-winning restaurants including three Tap and Burgers concepts. Their magic touch can be found in restaurants from Aspen to New Orleans and include Morin, Bar Dough, Senor Bear, Ash’Kara, 7908 Aspen, and Sofia, and the soon to open Maine Shack in Denver. 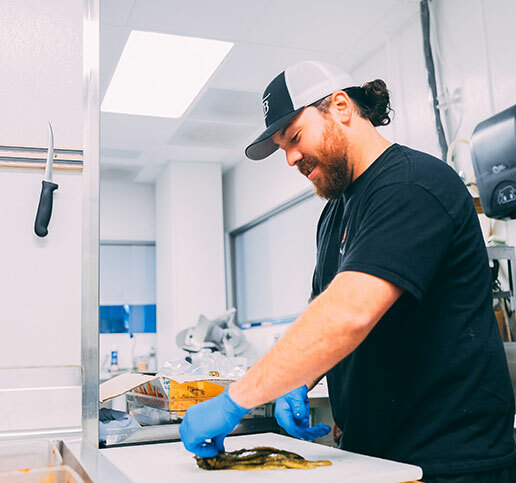 Tap and Burger’s Corporate Chef, Cliff Blauvelt honed his culinary chops in several popular Denver concepts before escaping to open a restaurant on the island of Aruba. In 2017, Padró and O’Shea convinced him to leave the island life and return to Denver with his dog Cheeseburger to join the Tap and Burger family. Rounding out the Tap Team are Director of Operations, Nicole Westerman, Beverage Director, Mike McGill, and the glue that holds them all together, Emily Obermeyer. First and foremost, Tap and Burger is a family – our staff, our guests, and our community. Our mission is to nourish our guests and the communities we serve with warmth, hospitality, and an unwavering commitment to customer satisfaction. Here at the Tap, our friendly, fun staff makes everyone feel completely at home, whether they are dining alone or with a large party, regulars or first-timers. We’re a community-based business that reflects our values of connection to place, quality of product and customer care, and we’re so happy that we’re here to share it with you! We prepare everything on the menu in-house to ensure that each item is made with the highest standards of quality. We source many of our ingredients from local farmers and merchants so that we can support, build and grow our Colorado community. And we strive to offer friendly, comfortable atmosphere and hospitality that builds a family of loyal, happy Tap & Burger patrons. Our mission is to nourish our guests and the communities we serve with our signature warmth, hospitality, and an unwavering commitment to customer satisfaction. The single most important part of the Tap and Burger experience is the way we make people feel. Every guest is a VIP and an extended member of our family. 100 percent customer satisfaction is our overriding priority. We hire community-minded people with a genuine sense of hospitality and provide them with opportunities to develop and grow both in and out of the restaurant walls. We offer different paths to challenge our staff, improve their skill, and reward the contributions to the business and to the community at large. We are obsessed with quality – quality ingredients; quality beer, wines, and spirits; quality in our staff; quality in our guests’ experience. We serve high quality food and beverages at reasonable price and deliver value to every guest. We set the highest standards and expectations for ourselves. We lead by example. We work as a team at all times. We continually strive to improve. We stand firm in the concept that we are part of our community at large and try to make a real difference in the neighborhoods we serve. This commitment extends to our state, our country, and the world at large. We love employees that follow their dreams! Lindsey has been a server at HTB for 2 1/2 years. While working at the Tap she has been pursuing a Bachelor’s degree in Nursing from Regis University , recently graduated and is now officially a licensed RN. We appreciate Lindsey’s ongoing display of leadership and her devotion to guest satisfaction. She will always be a part of the Tap & Burger family, we wish her the best.